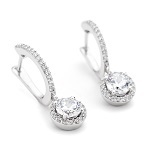 I purchased these earrings for my wedding, they match my engagement ring almost perfectly and are just what I was looking for at a brilliant price. The beautiful packaging and handwritten note was a lovely surprise and made me feel really special. Thank you for the lovely earrings and even nicer customer service :) I will definitely be using this company again in future. 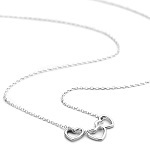 My partner loved the rose gold heart necklace, it looks very stylish and classy. The customer service was excellent, the packaging was very nice too, and the hand written note in the box was a nice touch. It appears it’s all in the detail with this company and I will be highly recommending them. Lovely delicate necklace, looks really pretty. It arrived beautifully packaged with care any attention to detail. Would definitely recommend. Having looked around for some time I was thrilled when I saw this. I wasn't disappointed. Definitely recommend it. 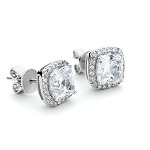 These earrings are absolutely stunning and can totally pass as REAL diamonds due to how clean and shiny they’re. They will become one of my staple pieces to complete any outfit! Great price and most of all an amazing company! Will definitely recommend! I did not hesitate for even a second to write this review; Starting from the first impression, I received my order in just 4 days. Once I received it, the packaging was so beautiful and detailed in the sweetest way! And to top it off was the sweetest hand written card inside the bag, directly from the Director! This necklace is absolutely stunning and it can totally pass as REAL diamonds due to how clean and shiny it is. It will become one of my staple pieces to complete any outfit! Great price and most of all an amazing company! Will definitely recommend! My husband brought this bracelet for my 40th Birthday to go with the matching ring from my best friend. The packaging was just lovely to open, and the quality of the item is stunning. Wore them both together and felt very special and very spoilt. Had a beautiful ring for my 40th Birthday from my best friend. The ring is similar stunning and fits perfect. The package that comes with the item, is just fantastic adds a very special touch, what was fantastic to was my husband brought the matching braclet to go with the ring. 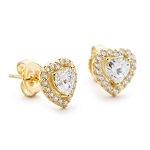 I ordered these to match a Pandora Teardrop ring I have. 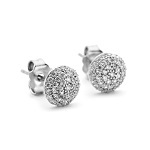 They had the studs to match in Pandora but much smaller than these ones. They are perfect - they match so well and are exactly what I was looking for. The packaging was so lovely I almost didn't want to ruin it by opening the studs. These earrings are absolutely beautiful. They are so sparkly and look beautiful when wearing them. I bought them to match a ring I already had and it’s the perfect match. They were delivered within 2 days of ordering and came beautifully packaged too so would be the perfect gift for someone. The personal letter from Sunjay the director of the company was lovely too. I will definitely be using OneByOne again and telling my friends about it. Absolutely thrilled with my necklace I haven't taken it of since purchase. 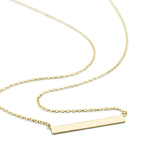 It layers well with other gold minimalist necklaces and looks so chic. Great communication with seller and loved the packaging. All in all a really good buying experience and will be back again soon for further purchases. Thank you!!! My ring arrived this morning in the estimated time and to my surprise (for a non expensive item) was beautifully packaged. The ring is exactly as described, elegant and classy. Really pleased with my purchase and will definitely be shopping with ‘ one by one ‘ again. This is very delicate and feminine and as expected. Highly recommended and beautiful packaging too which is a lovely personal touch. First time purchase here so a big thumbs up ! The necklace is exactly as described. It arrived promptly and was beautifully presented. Would be perfect as a gift. I’ll definitely purchase from One by One again. 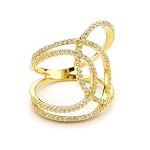 This ring is beautiful and very different, speedy posting and the packaging is very luxurious. This company really take extra effort to make it that little bit more special, thank you! Bought this for my lady and she is delighted with it. Arrived promptly and the packaging was faultless. Nice one. Purchased this ring for my daughter for her birthday the service was very good even when I had a query with my order I called up and spoke to sunjay who reassured me about my order, the order arrived bang on time with beautiful packaging and a personalised note. Excellent service and my daughter loves her ring very high quality and elegant. Would deffo recommend. 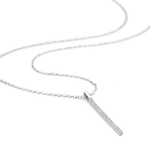 I ordered two of these one in the sterling silver and one rose gold to see which one I would prefer. 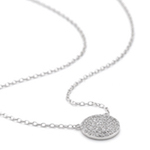 This piece is delicate and elegant whilst being quite on trend. I love them both so have decided to keep them both! The came beautifully packaged and very quickly. I totally recommend this company. Thank you so much for a great shopping experience. I bought these earrings as a gift for my sister's 30th Birthday. The earrings themselves are stunning and the presentation of the packaging is wonderful. These are lovely and I cannot recommend this company enough! Recently purchased this ring after searching for a similar one for a year. Really pleased with it and the extremely prompt delivery. Thank you. Gorgeous necklace which I bought as a gift. Length just right and looks lovely on. Will definitely be buying more! Amazing value and packaging!! Looks the same as on picture!! Was very surprised with nicely wrapped ear rings and the card received! !would strongly recommend as a gift!! Feeling very pleased and enjoying a lot!! My daughter loves this necklace. 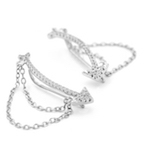 Lovely and delicate - perfect for everyday wear. 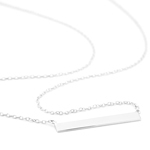 One by One were great with their communication and sent out the necklace on Express Delivery at no extra charge as it was a birthday present. I was very impressed with their service. Purchased these beautiful earrings a few days ago. Had so many compliments already. Look so much more expensive that they are. Excellent Customer Service and parcel arrived wonderfully gift wrapped. I wanted studs to match my engagement ring for the big day. These are perfect and affordable. I am thrilled with my earrings from onebyone! The quality is fabulous and they are exactly as advertised! 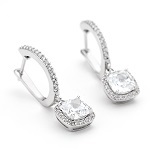 These earrings are part of my wedding jewellery and I have also purchased the matching necklace! I obviously wanted the pieces to be special and they really are! The packageing is really special too! It really made me feel like a bride to be when I had the delivery! The promo code was a nice touch too! Both these items are a sparkly dream!! Can’t wait to wear them on my big day!! Bought these earrings along with the matching necklace. Love both items. They arrived beautifully packaged. Would highly recommend One By One to friends for Service and Quality. I bought the necklace for my daughter but needed to ask for a change to the delivery details after the order had gone through. I had a very quick response from the sellers and it was easily sorted . Delivery was prompt and the necklace was beautifully packaged, it looked really special. My daughter is thrilled with her birthday present and I'm happy with the quality for a very reasonable price. very pleased with this lovely ring. looks beautiful! 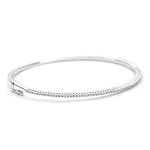 I bought these bangles for my bridesmaids, they’re so delicate and would look lovely with a watch or stacked with other bracelets. Definitely recommend the rose gold! Love them. The hearts are smaller than expected. However, my daughter, mother of three little ones and for whom I bought the piece, is absolutely delighted with it. It’s a delicate piece of jewellery and perfect for her slim neck. Also, the item was very well packaged and arrived within a few days of ordering. I would thoroughly recommend this Company. Thank you, One by One! Love these earrings. Not (in my opinion) for every day wear but looking forward to wearing on an evening out when dressed up! bought these cuties for myself. very stylish and great for everyday where or going out. I love this necklace! It is perfect, and with an adjustable length it works with many necklines. I also purchased an extender. 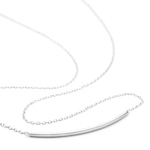 It is so lightweight and balanced that it stay perfectly in place, and the chain clasp does not slide around to the front of my neck. Additionally, it layers so well with other pendants. 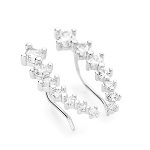 These earrings are simply elegant. They are very well made with a bit of weight but not too much. My mum bought me this necklace for my birthday and I wear it almost everyday! It’s so sweet and delicate and I always get compliments on it. The rose gold colour is very nice. Would definitely recommend! Lovely necklace. Beautiful gift packaging and very sturdy postal packaging. Delivered as expected. Helpful, friendly customer service when I had a query. I received this today. What lovely packaging and effort and care. Not often you get something so well presented. The ring is lovely. 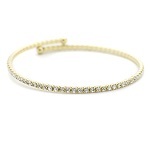 Having looked a number of places for about a year to find an elegant gold strand bracelet, I am elated to say I have finally found the perfect one, simply stunning and well made. My wrist is quite small so the chain is slightly on the long side, but other than that, The packaging was just perfect, and as a gift to myself I enjoyed opening it. Would definitely buy here again, I couldn't recommend it enough!! The necklace is beautiful and the packaging really makes it special. Arrived on time. Would definitely buy from here again. Photos do not do justice! I bought them as part of my bridal set to match my engagement ring. And words cannot describe how much I love them. 6 days postage to Australia and the beautiful gift wrapping that I felt so bad undoing because of how lovely it was made it all the better! Bought this gorgeous necklace (and matching earrings) as my bridal set as they match in with my halo tear drop engagement ring. 6 days and they arrived at my door step in Australia, and I am completely in love. I wish I could upload photos as the included ones do not do justice to these beauties! Oh and the gift wrapping? So amazing that I felt bad undoing it! 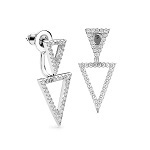 Really nice quality, sturdy earrings. I was worried the gold would be too orange but in fact it's a perfect shade of rose. I had to order more because my daughters and I all love these! I have ordered 2xs already. I am so pleased with my purchases! They are attractive, quality pieces that my daughters and I are really enjoying. They look and feel more expensive then they actually are. I recently received the package. Such a great product! And let me tell you - the attention to details is superb! The packaging is so amazing! Perfect as a gift for any special occasion! Thank you! Really nice necklace and well packaged. 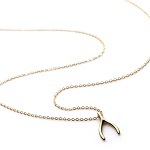 I received the rose gold wishbone necklace as a birthday present and its absolutely beautiful! The photo doesn't quite do it justice. The chain is so delicate and the rose gold colour is perfect. It goes with anything and I'm sure I will get a lot of wear from it. Will definitely purchase more from One by One. Beautiful earrings I am so pleased with them. Fast delivery, well packed, and a lovely soft bag to keep them in. Would buy from here again. 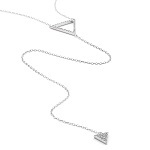 Beautiful dainty necklace and I'm a large lady but it looks so good. I'm really happy with these beautiful earrings! The quality is very good and not to mention the packaging goes above and beyond expectations. A great gift idea! I love the ring - I love the communication - which is quick, friendly and professional - I love the packaging... so ... what isn't there to love! Nothing - that's what! I also love how easy it is to order ... Thank you. Very pleased with the earrings. Bought as a present and the recipient was happy with them Good quality for the price. 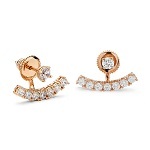 Very pretty little earrings; perfect for everyday wear which is just what I wanted. 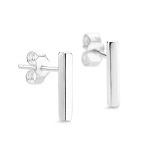 I am allergic to anything other than pure sterling silver and these are fantastic quality, causing me no problems at all. The cluster style is quite unusual and they certainly look more expensive than they are. They arrived beautifully packaged so would also make a perfect gift. Very pretty bracelet, excellent packaging and delivery. Would definitely purchase again. I bought these earrings for my mother for Christmas this year as I know she was admiring the ear jacket style earrings for a while and she doesn't like wearing jewellery that is not real gold. 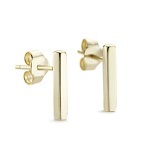 I purchased these in yellow gold in the Black Friday sale and despite never having ordered from OnebyOne before, I was completely surprised at the quality and the value for money. These earrings are so beautiful and far more delicate than they look in the photograph, my mum being quite a hard person to buy jewellery for, absolutely loved them! She even took a photograph of the packaging as it was beautifully wrapped up and made for one of her favourite presents this Christmas! I thought it would be chunkier but it does look pretty especially when the lights catch the swarovski effect crystals. The Customer Service is outstanding and I will happily buy again and have no hesitation to recommend. Thank you. The lock of these earings deserves a lot of applauds. Even when, for instance, I wear a wide scarf or take off a tight pullover, the earings remain securely locked. Good quality overall, decently sparkling and interesting design. I like the minimalistic touch they add to my outfits. This is my second purchase of this pair of beautiful earings after my partner lost one of the originals. Both purchases have been pain free experiences, with both packages delivered very promptly. The first time we ordered there was a lovely hand written note in the box, which made me feel that this company really cares. I will not hesitate to order again from this company. Thank you. I don't know where to start, from the excellent service and the necklace itself. The necklace is beautiful on, so pretty and I was over the moon when it arrived to see it was even nicer in real life too. The service was fantastic, and I would happily by from one by one jewellery again! item was delivered very quickly and beautifully packaged, so much so that no wrapping paper, gift bag was needed. Beautiful necklace that my daughter loved, very classy. First time I have used this company but will not be the last. I have told friends and family how lovely everything was when item delivered and they have said they will try too. Thank you also for the lovely hand written card. Wow, these pretty and very sparkly earrings arrived packaged in a pretty drawstring bag, inside a ribbon tied box, inside a ribbon tied gift bag, inside a larger box with a hand written note and a free gift! It felt like my birthday! They would make a really special gift for someone. What a wonderful service you provide, the product is beautiful. it was a present for my wife and she loved it! I want to add, the hand written note & packaging was a lovely touch. Thank you. I recently bought these earrings. They are stunning and look amazing she worn. They feel great in and are my go to earrings. Extremely beautiful and worth every penny. You wont be disappointed. 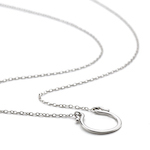 simple and classy silver necklace. Lovely necklace, exactly what I expected and really good value. Packaging beautiful and nice personal letter does make you feel like a valued customer. i will definitely look here first next time I need something special. I bought this original and modern looking ring for my wife. She likes it a lot. The ring is of very good quality and my wife is really happy. The personal touch on the handwritten note made it more special. Will definitely buy again from you in the near future. Thanks for the wonderful service. I bought these earrings for my wife and she likes them a lot. 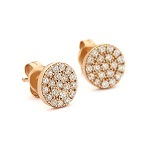 They are very good quality and my wife is really happy with them. She also liked the personal touch that is the handwritten note and the way the earrings were packed. Will definitely buy again from you in the near future. Thanks for the wonderful service. Absolutly gorgeous! It was love at first sight. I wasn't sure about the size (53.5) cause usually i wear 54-55 but it fits perfectly. The packaging was also really pretty. It arrived in 3 days which was really important for me cause i wanted to wear this ring for my mum's wedding. The hand written letter was really special and gave an excellent customer service. I by chance found one by one in the Internet. Delivery was fast, the ring I ordered is really nice, the way it was packed was done with lots of love. I can recommend to everyone to order at one by one! Really beautiful ring. I love you it! Just what I wanted for Mother's Day! Perfect! 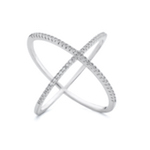 I have been looking for this type of crisscross ring for ages and everywhere I found was, in my opinion, too expensive for what I wanted. Then I stumbled across this website in a Google search and was delighted to see the ring that I had search for for so long at a reasonable price! 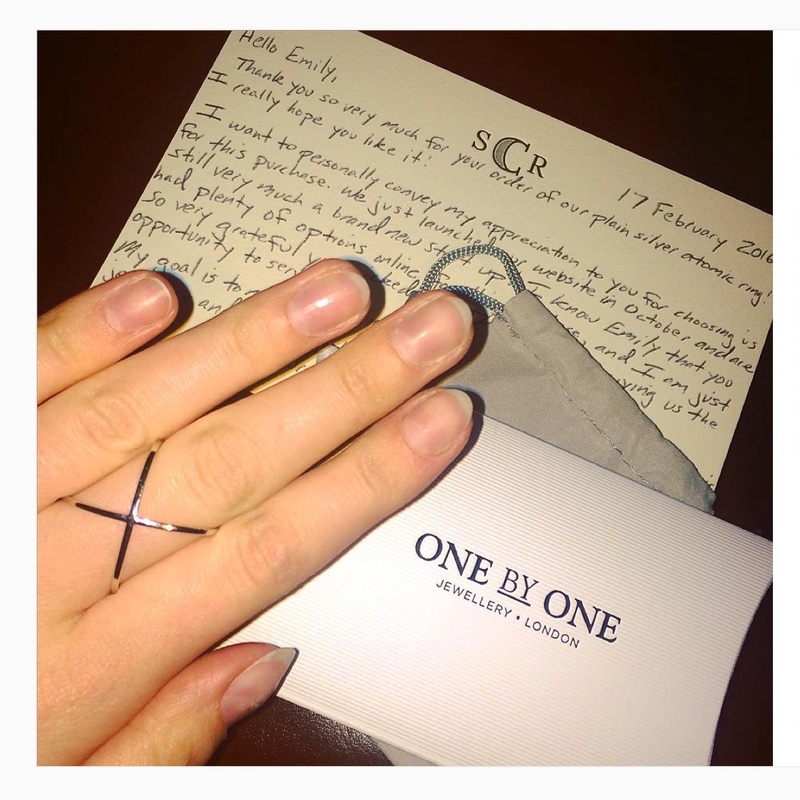 The ring came beautifully packaged with a personalised note from the company and felt really valued as a customer. Can not recommend this company enough, especially for making my hands sparkle :) thank you. I received this necklace in Rose Gold as a gift from a friend. We both learned about it through our favorite fashion blogger, Erin Busbee! I absolutely love mine and wear it often. 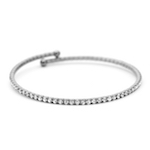 It's dainty and feminine but still makes it through workouts and visits with my young niece who loves to tug and pull on my jewelry! I loved mine so much I decided to buy one for a good friend for her B-Day. She loves it! It's a perfect gift for that special friend. The excellent customer service and hand written note from Sunjay that I received make me love this company and product even more! 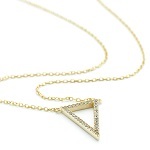 Exactly what I was searching for to wear with a very fine handmade gold necklace in a geometric theme. 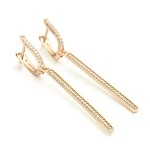 If you like big blingy jewellery then these small bar earrings may not be for you, although it is their bold simplicity which actually makes them outstanding and very elegant. They are sent extremely well packaged with a velour pouch, box and gift bag with beautiful pale pink and grey satin ribbons and even a gift tag making for a stylish and worthy gift. I love love love this necklace. Exactly what I was looking for. Very dainty and pretty. I love how it is different and one of a kind. The packaging was so personalised and the customer service was excellent! I'm going to definitely buy more off this website and highly recommend it to anyone! Very impressed. Im very happy with my new ring. Thank you for making it personnal. We were lucky enough to win a twitter contest recently and chose this ring. It has been much admired whilst my partner has been wearing it. She loves it and thinks it is really beautiful. We must say though we were also so impressed with the packaging which was wonderful and felt as if real effort and thought had been taken which really made us feel like we weren't just a number but a valued customer. Great service thank you we were very lucky and thankful we won such a lovely prize. 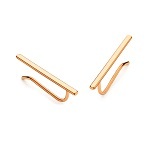 Rose gold bar stud earrings. Daughter very pleased with her earrings. Delivery was very prompt and I was very impressed with how well packaged they were. Lovely necklace - my daughter was really pleased with it. Arrived beautifully packaged and delivery was very prompt. 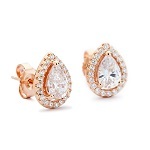 I wanted to buy my daughter's BF a gift for her 21st that would match her personality - individual, feminine and beautiful - and these earrings are perfect. The service was excellent as I left my number for someone to call me when I thought I had ordered the wrong item and they phoned me back in an instant. I shall be recommending One By One to all my friends and family. International delivery of this necklace worked very quickly. 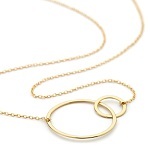 I absolutely love this necklace because of its timeless design, high quality and beautiful simplicity. Packaging of the necklace was amazing!!! Exceptional and would make a great graduation present. Absolutely lovely earrings. Not cheap looking. Not tacky looking. Very very smart and comfortable. They fit so well and feel like you're not wearing any earrings at all. Most earrings have irritated me and I was skeptics about using a site I wasn't familiar with but took a chance and I absolutely love them. So pretty and pink and stand out so much. I would highly recommend. Great value for money. Same price as my Pandora earrings and they are definitely on par. 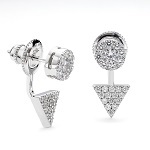 I bought the Pave Crystal Disc Necklace first and had so many compliments I purchased Double Row Bar. I wasn't sure whether I would wear them both together but I love wearing them both separately and together. Having the option to wear them at two different lengths is just perfect. Thanks again Sunjay. 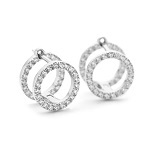 Stunning earrings so sparkly! 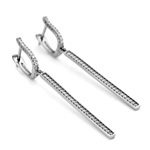 I wear them with various necklaces, they are so classic they seem to go with everything. I am very pleased with them. Great company to deal with, Sunjay is so helpful. I purchased this necklace for my daughter and she loved it! The packaging was beautiful and showed great attention to detail that I appreciated. The necklace was lovely and I would definitely purchase other pieces. It was a pleasure doing business with one by one! Thank you! 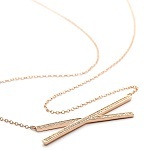 This necklace is so pretty and delicate. Looks like the real McCoy. A lovely company to deal with too. Parcel arrived, beautifully packed, little things count! The necklace is just perfect, should have got the longer extension, but it still looks beautiful and delicate, just perfect for me! I wish it was completely gold however! I will definitely be buying more from this site and recommend to others also! 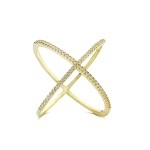 A very pretty,slimline bangle. The packaging was first class quality. Ready to be gifted straight away if necessary. A pleasure to write a review. Received the ring today. It's lovely, perfect fit and very delicate. The service was excellent and the packaging gorgeous, will definitely buy from here again. I love this delicate, subtle, yet noticeable piece. It came very nicely packaged. It was not a gift, but would not hesitate to order another one to give as a gift. 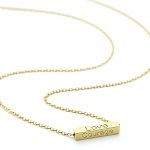 LOVE-LOVE-LOVE this necklace! It's absolutely gorgeous, great quality and arrived quickly (despite international shipping) and immaculately packaged! In addition, I got a hand written thank you note in the package--how's that for customer service??!! Will definitely be ordering from OneByOne again! Such a unique and beautiful piece! The pictures do not do justice to how beautiful this bracelet is in person. I love how unique it is and it is understated, yet so classy. Thank you again One by One for delivering a beautiful present for myself! This is the 3rd necklace that I have purchased from one by one jewellery co. I have never been disappointed iin any way! The necklace comes beautifully package, and is always perfect in everyway. I have given them as gifts as well as kept one myself. You won't regret buying anything from this wonderful company. 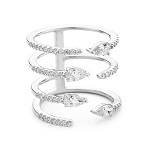 I bought this ring along with the Rhodium plated and the gold plated to stack on my ring finger. I cannot express how beautiful these rings are - especially when you put them together. Thank you Sunjay for the beautiful presentation also and the personalised letter makes it feel extra special! Highly recommend! Fast international delivery, outstanding customer service. This necklase was a surprise gift for my wife and just what she was looking for. Will be back for more! I ordered these for my wedding to match my engagement ring and they are perfect. I was a little nervous ordering them online, but the description of the size was spot on, and they arrived beautifully and carefully packaged and arrived quickly. I would definitely order jewellery from One by One again. Beautiful necklace and is lasting well so far....... I wear it ALL the time and am very impressed by it's durability. Service was excellent and am amazed by the personalised note included. I really hope this business goes from strength to strength and I shall be purchasing another one (different design obviously) soon. I love this. It's hard to see the difference between the rose gold and regular gold on the website but I'm really glad I went with it. This necklace hits right at my collar bone and it's just the sweetest, most interesting necklace. I'm so glad I got it. The packaging was a treat too AND I got a hand written thank you letter! Bought for a present and the recipient was delighted. The beautiful packaging made it feel even more special. Excellent customer service too! Beautiful necklace, beautifully packaged. First class customer service! Purchased this in the rose gold and it is just beautiful. Can be worn with jeans and a t shirt or with a cocktail dress and heels. I love that it is delicate enough to wear everyday. I ordered this beautiful ring to which did not disappoint on arrival in the most wonderful packaging. I have been looking for a while for sterling silver jewellery that isn't cheap and tacky looking or stupidly expensive - I finally found where I will be buying my jewellery from!! Fantastic service, fast shipping - I also love the emails that check me on track with my order status. Love my necklace and cant wait to add more to my collection!! 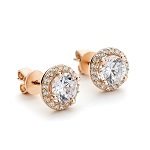 Bough these for the wife to match her Swarovski Funk Rose gold set and they only do a ring and necklace. They fit perfectly with it. Great quality items and well packaged. I have just received my ring from One by One. I was slightly sceptical the ring was not going to fit as I have very little hands and usually when I have brought rings from other well known high street brands they do not fit. But this was absolutely perfect and has not left my hand since! What's more, the service I have received from Sunjay has also been faultless, really personal and just amazing. I really can't recommend this brand, and this ring in particular enough. I am counting down the days until I can purchase another! They look so chic and elegant! Love them! defo a thimbs up from me. Even though the bar stud earrings I bought weren't expensive, they definitely didn't look cheap. My girlfriend was over the moon with them. Will definitely buy again from here. Service was excellent! Very fast postage and a lot of customer care! Really appreciated personal touch! 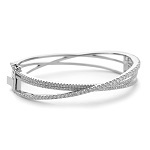 I bought this bangle to wear to wear along with two other silver bangles and it looks great. This by far is the most personal company i have ever dealt with, the hand written card went a long way and made me feel like a valued customer rather than just an order number, the jewellery is beautiful and such good quality, i am absolutely thrilled and will be buying more not just for me but for my friends and family. 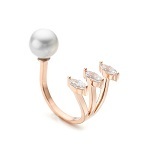 I ordered this ring after seeing a similar one worn by a celebrity. From end to end the whole process of ordering was run really smoothly with great customer service. The packaging of the ring itself felt more like opening a gift making it even more special. 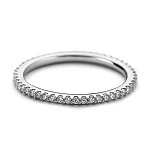 The ring itself is elegant and stylish and exactly what I was looking for. The first time I wore it I received so many compliments from friends and colleagues so thank you! This is my third necklace from One by One and as with the others love this piece! I actually brought this to wear with dressier outfits but have found myself wearing it most days. Would definitely recommend as is fantastic quality. 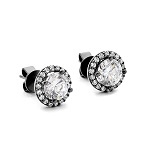 I ordered a pair of cz-round-halo-stud-earrings. (Yellow gold finish) for my beloved sister. I opened the box. I was stunned by the packaging, it had been packed in such a beautiful layout. I opened the box, which had a lovely gift bag, then a lovely earring box wrapped in tissue paper, I finally opened a drawstring cloth bag, which had the most stunning of earrings inside them. The packaging is the best of jewellery retailers I've ever seen. The earrings are absolutely stunning, bespoke in quality. Along with the earrings there was an envelope addressed to me personally. There was a handwritten note from Sunjay (The Director) who had personally thanked me so very much for the order, and how appreciative he was for my purchase. I was very overwhelmed by such a extremely wonderful personal note from the company director. I would now like to take this opportunity thank you One to One jewelry for your extremely excellent service and the beautiful personaly note. 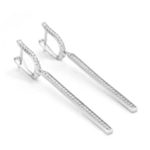 I would most certainly recommend that anyone thinking of buying jewellery from One to One should not hesitate as this is my second order with them. I will be definitely returning my custom in the near future. I came across this website based on the earrings I was looking for. The delivery time was really good (I am overseas) and the packaging simply amazing. Makes a REAL difference to find such a conscientious and customer-facing company with such amazing items. The photos are very truthful and if my experience is anything to go by, you can expect high standards and quality products from this enterprise. Long may it last, thank you and keep up the excellent work and customer minded approach. I purchased this ring and I am in love with it since it got on my finger. Fitted perfectly!!! Looks absolutely amazing on any hand!!! I am very impressed with the service, packaging ( very posh) and the personal hand written message to go with it! I wish good luck to this young company and they really set some standards, which are hard to beat. Enjoy shopping!! You are going to love it!!! Exactly what I wanted at a great price with wonderful service. 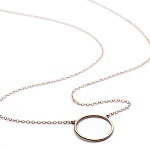 I love this necklace so much that I bought the interlocking circle one also! They are so well made, and come beautifully packaged. I plan on getting many more of them. Love everything about this necklace! I love how delicate and well made this necklace is. It is beautiful alone, or can be paired with my other lariat necklace. I love how elegant it looks, I always receive compliments everytime I wear it. Just the necklace I was looking for. Maybe I will buy the rose gold one as well. I bought a pair of these for my girlfriend for Christmas just gone, and she loved them! Second time I've bought her a present here. 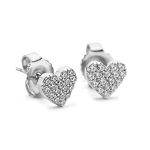 The ear rings look great, came really well packaged with a personalised note. Thanks! a beautiful piece and for now, the only one in Japan! i am one happy customer!! This is my first time I ordered ajewelry online. I was so happy to see that it is so beautiful. 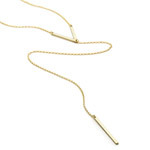 It is a delicate and feminine necklace I can wear everyday, without feeling overdone. No one would know it was so reasonably priced. I highly recommend it. This is such a classic piece. It falls at the perfect spot. Perfect gift for Valentines day or any day really. The package was beautiful, I felt so special getting it in the mail. Will definitely think of One By One when I want to send a gift. Customer service is so helpful and generous. I will wear this piece everyday. So simple and classy. Sunjay was so kind and the customer service was wonderful. 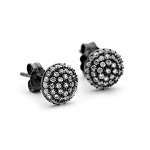 I love these earrings, they were just what I was after. Simple yet beautiful, and so far have been fine with my sensitive ears. Great gift wrap too. I love this necklace. The perfect gift for a dear friend in her favorite, Rose Gold and then had to purchase the silver and yellow gold for me. Beautiful pieces, great quality looks much more expensive than the price. Shipping was perfect, beautiful packaging, and customer service was so attentive they even emailed me to let me know my gift would be a slight delay (like a day or two). First time customer but I will definitely buy again! Beautiful necklace. Great quality. Would definitely buy from this site again. Excellent. I bought this product for my wife. I get it in 3 day and my wife loves it. This is my second purchase from One by One. I have been very pleased with my necklace and my new earrings. The quality is wonderful. The packaging is lovely. And...a lovely hand written note with each purchase. I am sure I will be purchasing again in the future! The necklace is lovely and high quality. The rose gold is very pink. 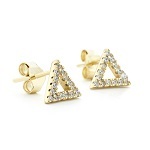 I may need to order a second in yellow gold too! I like the length and simple design that can do with so much of my wardrobe. I ordered from the U.S. and the customer service and shipping was wonderful. My order shipped within 24 hours of purchase and arrived within 7 days from the U.K., faster than some domestic orders. My necklace came with a handwritten note from Sanjay and beautifully packaged. It was a purchase for myself but wrapped like a gift which made the experience more special. I just received my beautiful silver oval ring, I am absolutely in love and it was exactly what I was looking for. I also thought the handwritten note was such a lovely touch, and nice to receive appreciation. I will definitely be buying again in the future. I love the two pieces I ordered, I'm looking forward to ordering more. Ordered this necklace and arrived within 2 days. Really great customer service, one of the best I have ever experienced. 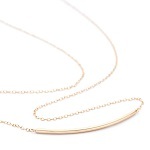 As for the necklace itself, the style and quality is excellent, very dainty but perfect if you are looking to create a layered look or like a simplistic elegant look. Will definitely buy more from this company. 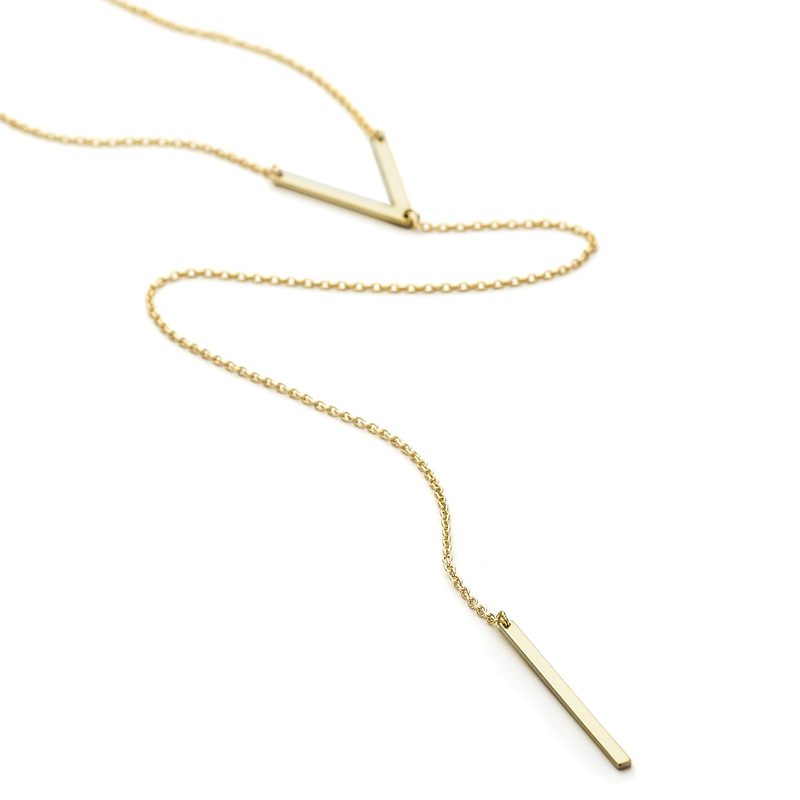 Just received my Lariat necklace in the post today along with the gold curved bar chain to create my desired layered look, the necklaces are absolutely gorgeous, So pleased with them. The quality is excellent, super fast delivery and the customer service is first class, especially loved the personal touch and the packaging! Will definitely be ordering more pieces. I bought these earrings to wear for my wedding and they are absolutely beautiful! They came beautifully wrapped and with a lovely handwritten note, which is such a lovely touch. I couldn't be happier with my purchase and will be buying all of my bridesmaid jewellery from you too - thank you! Nice delicate ring - exactly what I wanted!! I received these beautiful earrings as a Christmas present from my brother, he has asked me to review this page as he was bowled over (as I was) with the stunning presentation of the jewellery & the personal thank you note from the business. I received the earrings in a beautiful gift bag with the jewellery box inside also wrapped in gorgeous ribbons which got me very excited about what I would reveal inside the little box....& I was not disappointed! 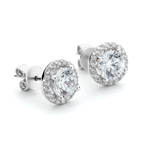 A simply stunning pair of halo stud earrings that which sparkle perfectly! Absolutely love them!!! Thank you one by one! Very pleased with the gorgeous earrings that are very different and eye catching . The personal letter was a lovely touch & the packaging very impressive . I ordered a lariat necklace from Sunjay on 23rd December, he helped he showed me alternative necklaces to the one I originally chose to buy and helped me make my decision for the necklace I was going to buy. Being Christmas I knew it was going to be difficult to get the present before Christmas Day but Sunday ensured it would get to me the next day. On the 24th my doorbell rang early morning and my present had arrived beautifully packaged. I would recommend this service to everyone! My Mum has been poorly and I wanted to get her something special to make her feel better. 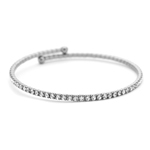 This bangle has certainly put a smile on her face. So beautiful. The packaging is absolutely stunning too. This necklace is so beautiful! I am so happy with it! 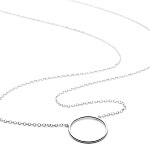 The quality of the chain and circle cz is excellent and I was so impressed with the presentation. Really nice packaging. Shipping was very fast and the customer service was excellent and very helpful. Highly recommend! I have been using One by One for a while now the customer service is absolutely spot on and their jewellery really beautiful delivered in an amazing package and bag. Totally recommended. I really like this simple design. It makes me feel stylish on a day to day basis! Left a review for this item but just wanted to add comments on the One by One service. Have to say that the service from this company is second to none. High quality jewelry at great prices, accurate descriptions of all products, fast, fully trackable delivery - all done with a personal touch. 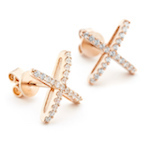 Lovely delicate earrings, perfect to match with Rose Gold Triange Crystal Necklace. Absolutely beautiful necklace, brilliant to have the option of extra chain. 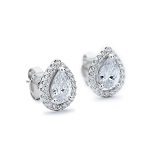 The earrings are absolutely stunning and are perfect to swear everyday to match my engagement ring. Can't comment too much on delivery as they were a Christmas present. But there was a lovely hand written note to my other half thanking him for choosing one by one. And we both thought that was such a lovely thing to do! I loved them so much I had to come and check out what else you had. And I've obviously bought myself another ring haha. Thank you again. I love them! 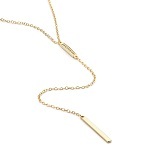 This necklace looks just like 14k gold and diamonds. I am very pleased. I love this necklace! I couldn't believe how quickly it arrived also. I will definitely be buying more of them. 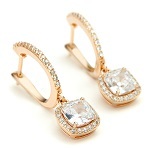 These earrings are gorgeous, I love the rose gold because it really brings out the sparkle in the stone. The packaging was super cute and feminine, great for gifts etc. I couldn't be more impressed with the level of care that the company director and support team have demonstrated. Not only were the earrings beautifully presented (and wrapped well for their protection), but I also received a handwritten note, thanking me personally for the purchase. Such a lovely touch, and I will definitely buy from this company again. Many thanks - the earrings are gorgeous and my Mum loved them for Christmas. I very rarely write reviews but felt compelled to write regarding my recent experience with one by one. I placed an order on their website for an oval open circle ring and was slightly worried that I didn't receive an email confirmation. I rang to enquire and realised I had misspelt my email address however they had already realised my mistake and had rectified it and were in the process of emailing me. Was concerned that the ring I ordered may not fit so they said they would include a ring sizer with my ring (which they did). They kept me informed of every step of the order and within 3 days my order had arrived. I have to say the ring exceeded my expectations, it is exceptional, the packaging and presentation was perfect and the hand written letter was a fantastic personal touch. My wife absolutely loved her ring and has raved about it and your company to all her friends. It's so difficult for a sall independent to compete with the big boys in any market however the service and attention to detail displayed by one by one makes them stand out and I will be buying lots more from them in the future as you can't beat the personal touch. Thank you so much. You made my wife's Christmas and helped me score some major brownie points. The earrings are absolutely beautiful, and much loved by my fiancée. The service was great, and the hand-written note gave a nice personal touch. Would definitely recommend to friends! So happy with my purchase. 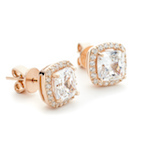 A timeless pair of earrings. The gift packaging was perfect and the hand written note was a lovely touch. Will definitely be back for more. My wife was extremely pleased with her present and we were both impressed with the packaging which we could not fault. The rapid delivery at no extra cost was brilliant and we will both use again and recommend your company. 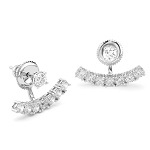 We will keep watching your web site for any new products or expansion of your jewellery. Quality piece of jewelry, very unusual and unique. 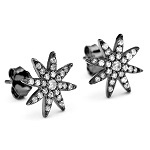 Black Rhodium is something never thought of Mrs loves them. Very fast delivery, gift vwrapped and great price. Would highly recommend this product and company. Absolutely stunning piece of jewelry. Very high quality with really fast delivery at great price. Great value! Great quality! Great service! Beautiful jewellry! 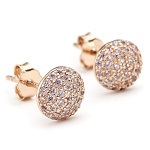 I recently purchased the Pave CZ Small Disc Swing Earrings in Rose Gold for my wife for Christmas (I'm from Canada). My wife LOVED them! (as do I). They are as pretty in person as they are on the OneByOne website.Absolutely gorgeous! I could not be more pleased! The customer service I received was exceptional! And I mean exceptional! Sunjay was fantastic. He offers great value and service. He went above and beyond to accommodate my international order. Great value! Great quality! Great service! Beautiful jewellry! I won't hesitate to order from OneByOne again. Thanks so much, Sunjay! Sincerely, thank you! My daughter loved this as her Christmas gift. Beautiful and I appreciated the excellent customer service! I gave this to my daughter, who is 27, for Christmas and she loved them! Good quality for the price. 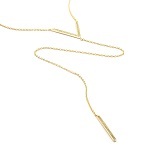 Beautiful subtle necklace, very delicate and dainty looking. 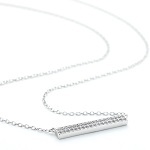 Amazing quality even for such a thin necklace, and looks great on its own or paired with additional pieces. Truly love this. Was delivered quicker than expected. Packaging was great and presented beautifully. The ring itself is unique and just what I've been hunting for high and low, looks beautiful on. Beautiful earrings, I couldn't be happier but even more blown away with the service, fantastic, quick and VERY personal, fantastic packaging with lovely hand written letter of thanks, I'm very impressed. I have had more compliments on these earrings. They just catch the light and the design and craftsmanship is beautiful! I am impressed with the personal attention to detail the company gives as well. I bought these as a gift for my mum for Xmas, I'm just hoping she likes them as much as I do. Up close they are stunning. The customer service of this company is second to none. I would definitely recommend them and will certainly buy from again. The transaction was easy and the delivery was very quick with the earrrings being extremely well packaged. I am really pleased with this stunning pair of earrings. They have just the right amount of "bling" without being flashy. Well made and comfortable to wear. Would definitely recommend to others, especially at such a reasonable price. Purchased this necklace in silver. It's exactly what I've been searching for. Fast shipping and beautiful presentation. Would definitely recommend. Like that it can be worn as choker or pendant. Very comfortable and good quality. Shipping was super fast. This will be a daily go to. I received my necklace this morning and it is beautiful. Very elegant, a timeless piece. It came in a pouch, in a box, with a lovely note from the seller saying thank you. Above and beyond customer service, a real pleasure to deal with. I shall be recommending you to all my friends. I received these earrings in the post today and I couldn't be more delighted! 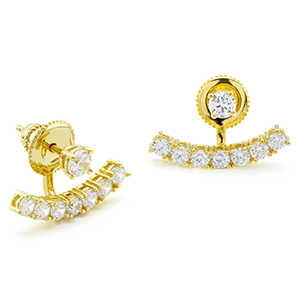 These earrings are stunning and designed to a very high standard. They came beautifully wrapped with a lovely handwritten note from the director. This was such a lovely touch and I cannot wait to wear these on my wedding day! Very please with my purchase which arrived quickly and was beautifully presented. Also dealt with my request to change the finish to yellow gold efficiently and with great charm. Would recommend. I don't normally buy things online and had never heard of this company before so was a little unsure to purchase online but I was over the moon when they came only about 3 days later in a protective box bubble wrapped..and the gift bag is like a pandora style bag with a nice bow tie, inside the bag the earings came in a nice matching box. I've got this for my mum for Xmas and they look very expensive and gift bag does too, I would recommend to anyone to buy for gifts and will be using again! Very pleased with these earrings which I bought as a gift. They are small but still noticeable. Very good customer service too. 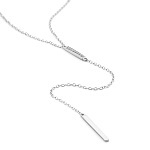 Delicate necklace which I am sure recipient will love. Excellent customer service. Will use this company again. The earring were delivered quickly and presented beautifully in a pretty box and bag, really pleased with them and will definitely be purchasing more for other family members and recommend to friends. The handwritten not was a nice personal touch ! The ring is absolutely stunning. LOVE IT! !!! LOVE IT! LOVE IT!! The whole shopping experience with you is just brilliant, Love the personal , handwritten note from you Sunjay and the beautiful , high quality packaging the ring came in. This is my first purchase from your shop and you will be preferred one for my future jewellery purchases. Highly recommend to anyone . 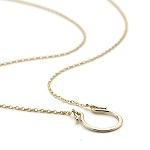 Love this horseshoe necklace, delivered promptly and beautifully packaged. The best customer service ever! My ring is beautiful, really nice quality. I recommend this store to everyone, who is looking for beautiful jewellery with an amazing quality! Will be definitely shopping here soon! Thank you one more time. 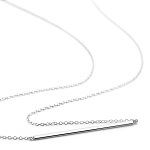 I've purchased a few necklaces from One by One and the quality if fantastic, I was looking for another necklace to join my initial necklace and this is perfect. 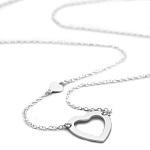 I love that it has the open heart and the little solid heart off-set on the chain. The wrapping as always is exquisite, it almost makes you not want to open it but of course whats inside is so much more gorgeous. Highly recommend, great service. 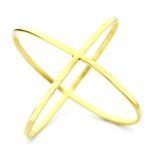 I love the atomic criss cross ring, it arrived really quickly and was beautifully presented and wrapped. It fits perfectly and the thin criss cross looks very elegant on my hand. Bought for a friend really lovely ear rings and very nice packaging though actual box could be better as earings fall out . Apart from that no complaints. Exactly what I hoped for, also the Rose colouring is a lovely tone and not to pink, it was so lovely to receive this piece in such a lovely pouch. I ordered these earings on Sunday and they arrived on Wednesday. They are very simple, and stylish which is exactly what I was looking for. The packaging was very impressive and the service was very personal. will definitely be buying from one by one again! Earrings were a little larger than I expected but lovely nevertheless and excellent service! I was kept updated on the status of the order, it arrived promptly and beautifully packaged. Would definitely use again and recommend to others. Beautiful bracelet bought for a gift. Beautifully presented and accompanied by a personal note which was much appreciated. These small touches makes you feel valued as a customer. I will certainly use this company again in the future. I ordered this necklace as it looked stunning and elegant, and I wasn't disappointed when it arrived. I absolutely love it and will probably buy another the same in yellow gold. This website is so easy to use and the company makes the transaction so quick and painless. I will defiantly use this company again. Really pleased with this necklace- this is the second item I have ordered from this company and have to say I love both pieces and will definitely be back for more. This is such a pretty necklace- very delicate but still makes a statement and I haven't stopped wearing it since it since it came in the post. My other item is also rose gold and hasn't tarnished despite a lot of wear. Really impressed and have to say the customer service is also excellent. Over the moon with my whole experience using One By One. I received my gift within the specified time frame and upon opening it found a gorgeous hand written note thanking me for my purchase. A real personal touch makes all the difference. The earrings are stunning and I will absolutely use you guys in the future for gift ideas. Perfectly sized and well made. Bought as a birthday gift for our grand-daughter. The ring supplied was exactly as the photos in the WEB page. It was nicely gift wrapped with a hand written card and came in a strong hand size cardboard box by Royal Mail. Delivery & service was excellent. And just for the record the grand-daughter was delighted with the gift, just what she wanted. The earrings were a present for my mum, they were really well gift wrapped and they were really nice. They even hand wrote me a little note which was really nice. I would recommend definitely. I ordered this as a present for a friend. It arrived very quickly and was beautifully packaged so I had to wait to see it until she had opened it. I was very impressed- it is beautiful and my friend was delighted. Customer service is excellent. I had messed up my order online and left a message to explain. As soon as they were open I recieved a phone call and the mistake was sorted. I will definitely be buying more from One By One Jewellery. After searching for ages for something my mum had requested for Christmas I finally came across this website! Prices are very reasonable and the quality is beautiful. When the necklace arrived I loved the packaging, it came with a gift bag, tissue wrapped and in a gift box. For the packaging to be included in the price and no postage charge is so rare. I'll definitely be returning and sending my boyfriend this way for my present! I brought these earrings a few months a go totally in love with them the packaging is beautiful comes wrapped up in tissue paper and comes in a lovely gift bag. A lovely hand written card by the manager to say thank you for using our services. Will be using them again in the future. purchased for the wife as a birthday present and went down very . recieved the ear rings within two days. excellent service and kept updated regading the delivery . 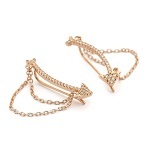 the ear rings are gorgeous and excellent quality. This product and site are both as good as each other, I ordered this product on a Monday evening and received it early wed morning which was just as stated on the delivery. The product was packaged very well and the gift wrapping was a great extra touch, we also got a hand written personal card from the owner which shows they have taken time out to personalise our individual item. Thank you. Great quality product, arrived on time, packaged beautifully and a totally confident and safe buying experience. 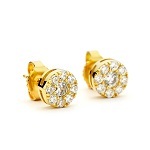 Unfortunately I didn't receive the earrings on time (through no fault of the seller). Great communication and hassle free returns. Definitely recommend and will buy again!! I received my necklace very quickly and when it arrived it was packaged up really nicely but also in bubble wrap to protect it which nowhere else has ever done before. When I opened the package I was so pleased with my necklace it is lovely and just the perfect length. I will definitely buy from one by one jewellery again. 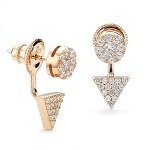 The earrings are really nice and glamorous. A little on the small side though. I would have preferred them to be slightly bigger. It's a treat for moi! Thank you for the efficient delivery. 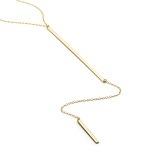 Hi have been looking for a lariat bar necklace for a little while now and came across the onebyone website. They have such beautiful jewellery and host a rather elegant website. The necklace arrived and my 14 year old daughter and I opened it together as it looked like it was so lovingly wrapped. it was a beautiful experience seeing the handwritten letter and the gorgeous gift box and bag and then the necklace... WOW, it is stunning. It was slightly longer than what i wanted so i popped to the local jewellery shop to have it shortened slightly. It is exquisite. 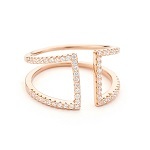 Bought this ring as had seen so many celebrities wearing it on Instagram and this ring does not disappoint. It is simple, stylish and contemporary - everything that I wanted. The rose gold goes with everything and delivery was incredibly fast with trackable delivery so I always knew where it was and when it would arrive! 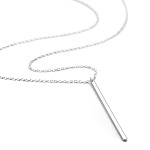 Stumbled upon this companies website whilst looking for this type of necklace online, I was amazed to find this at a fraction of the cost of similar ones from other online jewellery sites. It arrived within a few days, excellent quality, beautifully gift packaged, and with the personal touch of a thankyou letter and a discount code for future purchases. 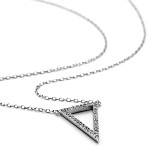 Love this necklace- so pretty and from the wear I have got from it so far seems good quality. Will be back to order some more pieces and definitely recommend this brand! I bought this as a gift for my mum. It came beautifully wrapped/packaged and was lovely quality. Would definitely recommend as she loved it! Came within two days. Excellent service! 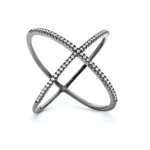 I have just received my beautiful criss cross ring and I can honestly say I am delighted with it. I placed my order only 4 days ago and it arrived today. It came beautifully gift wrapped with a hand written card and letter, with a discount code for my next purchase. It is truly a stunning ring. Bought as a gift, very happy with product. The service was excellent, the best I have ever had from a company. Will definitely order again. Lovely necklace, beautifully wrapped and fast delivery. Very personal service. Would highly recommend! Great product, great service and fast delivery! Couldn't recommend this company more,, the delivery was super fast and the packaging and gift wrapping was perfect! Will definitely be purchasing more in the future.. The earrings were brought for my sister as it is her wedding, they matched her engagement ring perfectly. Thank you One by One for my beautiful earrings! I wanted to treat myself, and that I did! They arrived this morning and I couldn't be happier! I can't fault Sunjay and the team, their communication has been spot on and you can see the effort and hard work they put into their business and it shows in their products. 5 stars! Bought this necklace through Amazon it was a gift for my friends 18th . The gift came beautifully wrapped , came with a hand written personalised message which was a lovely touch . Would definitely recommend this company and their stunning pieces of jewellery after searching for something special . 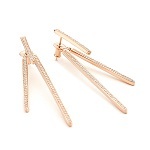 Nice earrings, very elegant, suitable for every day wear and to go out. 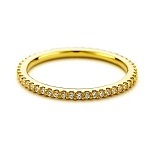 Bought this in rose gold, gorgeous piece of jewellery + excellent service and delivery!!! Gorgeous ring and amazing service. If you still doubt whether to purchase it or not, I assure you will not regret if you buy it. It exceeded my expectations plus the price is really good. I get soooo many compliments about this ring. The quality is great, the stones are very sparkly. I purchased mine almost 2 months ago and I'm thinking of buying another one in yellow gold :) that's how much I like it. I purchased this beautiful ring just recently. It was delivered very fast and I was extremely happy with my buy. I was even sent a handwritten thank you card from one by one for purchasing from them. I would highly recommend them to anyone who would like to buy elegant pieces of jewellery whether it is for themselves or as a gift. They come packed in a pretty bag and a box...making it easy for you to gift away. Thank you one by one...I am very pleased. Necklace was a gift for my daughter's 18th Birthday, lovely presentation and a great gift.. Very good service. Lovely necklace, looked everywhere and nothing compared to this. Thank you for my perfect earrings!! I cannot say enough about how pleased I am with my new ring and the excellent customer service I received. The ring is gorgeous. I get so many compliments every time I wear it. I will be making more purchase in the future. I bought these for my sisters birthday present and absolutely love them! The packaging was beautiful and meant I didn't have to pop to the shops for a gift bag! There was a personal handwritten letter to say thank you for my services. One by one jewellery has exceeded my expectations and I will defiantly be telling everyone about this site as well as ordering more things. Thank you so much. I got these as a present for my mum. I got the address wrong and they contacted me to check to ensure delivery. I absolutely love this piece. I initially bought it to wear to my brother's wedding, and matched my formal bridesmaid dress perfectly. Happily I discovered that this bracelet goes with practically everything else I wear! It's so dainty and elegant - I'm in love! 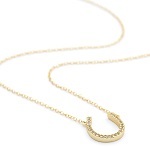 I have been on the market for a horseshoe necklace for a long time, but not just any horseshoe necklace, I wanted one that I could wear day to night. This gorgeous design was exactly what I was looking for - it's delicate enough to wear in the office, yet chic enough to wear the rest of the night. I love the way it sits at my collarbone, and it's become "that necklace" - the one I wear so much I sometimes fall asleep with it on! I bought my sister a matching necklace in rose gold for her birthday last week since she admitted she had been admiring mine! Love love love! So, so pleased with this necklace, it is just what I wanted and has come beautifully packaged. The perfect present for my 19 year old daughter! Its not very often an online order exceeds expectations and I am very pleased to say that One By One has certainly done this and I will be making further purchases. 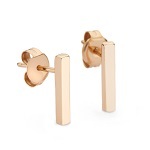 I purchased a pair of these earrings in rose gold vermeil as a present. They arrived within a matter of days, and I was kept updated by Royal Mail as to the whereabouts at all times. The earrings themselves are gorgeous, I am so pleased with them. They are the perfect size and look very expensive. Inside the box was a personalized card from the Director of the Company thanking me for my purchase, which I thought was a really nice touch. I would recommend these to anyone thinking of buying. I bought these swing earrings for my wife's birthday and she loves them. They look fantastic and fit her like bespoke items. All her friends like them and her daughter wanted the website address. Delivery was quick, I ordered them on Monday and they were delivered on the Thursday by Royal Mail signed for service, with plenty of communication all the time to keep me informed. 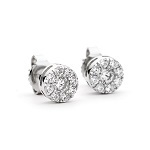 Overall the experience was very positive and I have no hesitation in recommending these earrings and this site. Delighted with these earrings which were purchased to wear to a wedding. I wanted something simple but stylish and these fitted the bill perfectly. The packaging was excellent and the accompanying note made the whole purchasing experience incredibly efficient. Highly recommend this item and company to anyone - you will not be disappointed. I love this necklace and wear it almost daily. It finishes off any look beautifully and adds an element of stylish chic. It is my go-to piece. It's really versatile and has two lengths you can wear. Very cute packaging-a joy to receive! These earrings evoke a sense of Mediterranean chic. They make me feel like a pretty, carefree, stylish Mediterranean girl and look so cute with a little dress or summery top. I've been looking for earrings to wear with any outfit & have finally found them. I purchased this piece of jewellery as a gift for a friend! It was absolutely perfect. Delivery was on time & the necklace was very well packaged. I've even been asked by a couple of other friends where did I get it from. I would definitely recommend OnebyOne as they have a great customer service! 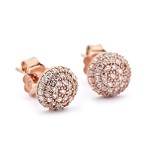 On 05/07/16 I ordered a pair of cz-round-halo-stud-earrings-rose-gold-vermeil earrings for a friends birthday present yesterday. I paid the extra next day delivery charge and they arrived before 1pm today. I opened the box and the packaging was stunning. A lovely gift bag, then a lovely earring box wrapped in tissue paper and inside that a cloth bag. The earrings are absolutely stunning and look extremely high quality. Along with the earrings was an envelope addressed to me and inside was a lovely personal handwritten postcard from Sunjay - The Director - thanking me so very much for the order and how appreciative he/she was for the order as they had only launched the site in Oct 2015. In addition there was another thank you and a gift of 20% discount on my next order (which I'm sure I will be placing with One By One) with the opportunity to give the coupon code to any of my friends and can be used by them or I as many times as we wanted. I would now like to thank you for your extremely excellent service and the beautiful earrings. I purchased the ear rings as a gift for a friend who absolutely loves them. Order, delivery and packaging were amazing. 5 Stars to the company - definitely recommend to others. Loved the personal touches to me the shopper also. I could would highly recommend one by one jewellery and will definitely use you again. Quick delivery in lovely gift wrapping. Very good price. And a personal written thank you card. Very nice. very impressed with these when they arrived. They were for a birthday present, and greatly received. Solid silver too so no green ears..
Well worth the price and you'd think they cost much more. 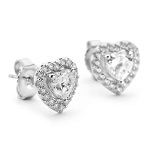 I have ordered these beautiful earings as a present for my mum to wear at my wedding. I havnt yet given her the present but I'm sure she will love them just as much as I do! I ordered these earings because they look simply stunning, I was not disappointed when they arrived! The delivery was outstanding, I ordered them with the delivery as standard, expecting them to arrive in a week or so.. 3 days later they were at my door! Not only is the product gorgeous, the packaging is elegant and perfect for present giving! I received a thoughtful note within the packaging too, which was a brilliant touch to the overal high standard of the product. I wouldn't think twice about ordering from here again, and have already told my family and friends about the website! Thank you so much One by One!! I bought this necklace for my wife's birthday and was very happy with the quality. The packaging was also very professional and added an expensive feel to the product, which is nice if you are buying as a gift. Customer service was excellent, received a phone call 20 mins after placing my order, advising on delivery dates over a bank holiday which got me my package when I wanted it! Really excellent service, thanks. www.toularose.com < they will feature on my blog for sure! I have an occasion coming up and I looked EVERYWHERE for a silver lariat necklace, they were either way too expensive or would take way too long to be shipped to me. This necklace however is absolutely beautiful, I ordered it on a Friday afternoon and received it on the following Monday morning. The packaging was so gorgeous that I almost didn't want to open it, and I had two lovely written letters from the staff giving me a 20% discount for my next purchase, thanking me for choosing them. I would recommend One by One jewellery to anyone, I am very impressed!! 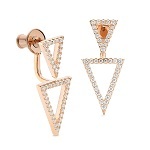 I have searched high and low for earrings this style at a reasonable price. I am absolutely thrilled with the quality. They are true to like the photo shown. The service and timing to receive them was prompt and efficient. I would definitely recommend one by one and these earrings. Bought this present for my partner amazing service and this ring is stunning , excellent quality and can't recommend enough , The ring comes in brilliant packaging and sunjay hand written letter was a brilliant touch. I came across this website purely by accident after searing for a ring I wanted. When I seen it on here it was exactly what I had been looking for and at half the price of some of the other places I had seen similar ones. I ordered it not thinking to much about it but when I received it within a few days I was blown away. I honestly thought it would just come in a little ring box but the packaging was as stunning as the ring itself! It would be perfect for gifting to someone. It also came with handwritten notes form Sunjay and Elena which added a really personal touch. Unfortunately the size I ordered was too big so I emailed requesting an exchange (at 11.30pm on a Saturday night!) and received a reply from Sunjay within a few minutes. He could not be more helpful. I was so impressed with the quality of the ring itself and the top notch service that I have bought more jewellery from One by One and will be doing so in the future. Excellent!!! Beautiful earrings, excellent service. Very well presented, would make a lovely gift. I bought these earings as a gift for my mother. She is so happy about them! She is 54 and she loves cool and modern accessories and fashion. Now she has something fancy and unique, absolutely matching her style! I purchased this necklace to replace my favourite one by a different brand. Whilst I thought I was purchasing the same necklace, this one is actually far superior in quality, despite being the same price. The chain is dainty and understated, exactly what I wanted, and the disc at the end is not too big either for the daintiness of the chain. It is definitely on the pinkies side of rose gold, rather than the more yellowy side so is true to the description. Ultimately, this necklace is perfect for my needs, and the customer experience is probably one of the best I have ever received. I thank Sunjay and Elena for their personal messages of thanks, and I will definitely be ordering again in the future. Lovely necklace wonderfully packaged very nice personal note. Will definitely buy from again.. This is a Gorgeous Ring! I just love it!!!! I live in Texas USA and I couldn't find what I wanted here! This is perfect! The packaging was so elaborate too! Beautiful, elegant and simple-just what I've been after. Came beautifully passaged, was very impressed with attention to detail. Would make a lovely gift. This is a beautiful ring I am so sad that one of the crystals on top fell out after having it for less than a week.. I am pretty gentle with my jewelry so I do not think it was anything I did. I was impressed with the lovely packaging and what appeared to be a hand written note thanking me for choosing their company and a 20% discount for the next 60 days. The product came quickly. I was delighted to learn that One By One was once again offering their CZ open circle ring and immediately scooped it up. Once I received the package, I couldn't wait to open it. First of all, let me say, you can literally order their products as a gift and have it shipping directly to the recipient. The packaging is beautifully constructed and the presentation is lovely. My ring arrived gift bagged and gift boxed and you're even provided with a dust bag…wow! I am extremely pleased with the quality of this product. It really is lovely and although I was slightly disappointed that the open circle shape was oval, not round, I got over it very quickly and absolutely love my ring. Even my son, who never pays attention to jewelry, commented on how nice it is and wants to get one for his girlfriend. I have long, thin fingers but very big hands for a woman so I ordered a size 9 to wear on my middle and index finger. Fits perfectly. You will not be disappointed with this company, their product or their customer service. I will most definitely be a regular customer. Thank you, Sunjay!! Finally something that suits me! I usually struggle to find jewelry that suits my petite frame as they are normally too chunky or long. 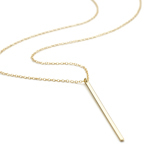 This piece is gorgeous, very delicate with a nice modern twist with the bar. I've been wearing it ever since I got it and not planning on taking it off anytime soon. Looks good with everything as it is not as long as the usual necklaces. 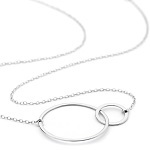 This necklace has a simple, elegant style and the asymmetry gives added interest. Easy to dress up or down and very versatile. I wish the chain were a little longer, probably because I'm very tall. I can wear it at a flattering length below the collarbone at the end of the extension, but may add another extender to wear it lower sometimes. The packaging and customer service were excellent. I highly recommend OneByOne Jewellery. my bangle arrived today, fast delivery and so well packaged. 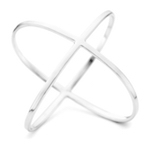 The bangle itself is gorgeous and i will be recommending it to friends and family. Will be ordering from one by one jewellery again lovely service. 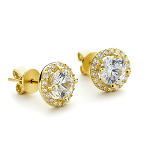 I got these in yellow gold and they look great, I have already received plenty of complinents. I have very sensitive skin and was initially worried about allergic reaction but I have been wearing them for a week now and have nothing to complain about. Great quality, packaging and customer service comparable to that at Tiffany's! Very unique, beautiful and delicate ring bought for a special occasion! My friend was very happily surprised. The whole experience from perusing on the website to receiving the nice package with a personalised note has been a real pleasure! You feel really valued as a customer. I will definitely shop again! I received an order of several pieces today and I am absolutely thrilled! This ring is fun, elegant and beautifully finished. It is comfortable to wear and adds just the right touch of panache to any outfit. I look forward to wearing it often. My whole order arrived beautifully packaged and each piece was exactly as described in the website. I look forward to ordering more pieces in the future and would recommend this company to anyone looking for unique, well made lovely jewelry. You won't be disappointed. I just received these earrings today and I love them! 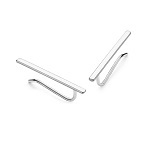 I was looking for a simple pair of everyday earrings that were not just the same old thing. These are well made, nicely finished, lightweight and I don't have the feeling everyone else will be wearing the same thing. Perfect! My order arrived in a very timely manner and everything was packaged beautifully. I even received a personal note thanking me for my patronage. Such a nice touch! These earrings are gorgeous. Even prettier than the photos. 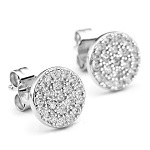 I like that I can wear them with jeans and a t-shirt or to a black tie affair, and they will be perfect for both occasions and all occasions in between. Small enough to be classy, but large enough to be seen through my shoulder length hair. Very unique design too. I just adore these! I am so happy with my purchase! Amazing customer service and a quality product. I will definitely be ordering more in the future. 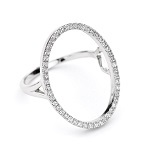 Beautiful ring, very white in appearance so tend not to wear it with other stacking rings. 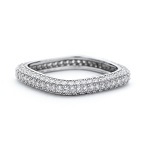 Beautiful glittering effect with intricate detail covering the full band which is unusual. My ring was also beautifully packaged which added to the luxury feel of the item. 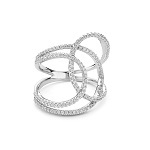 A modern twist on a dress ring. Beautiful ring, perfectly made. 5-star customer service. Would definitely recommend. The best ever piece of Jewelry, made perfectly and leading the big names, I love! Love it, great customer services, delivered in no time, packaging and thank you letter stunning, I was introduced by busbeestyle blogger, I will recommend strongly and will purchase again and all time my jewellery from one by one from now on. Thank you again and wish you the best. saw one by one on Instagram and fell in love! gorgeous designs to my fingers! earrings perfect. Can't wait to show them off. none. Thank you very much! reccomend them and the company! This is such a beautiful ring with great quality. wait to buy my next peice! expensive and it goes with everything!.. buy from here for myself and gifts! ring unique style and really eye catching. receive! I will be buying again! This is truly a beautiful ring, and of great quality. quality piece of jewellery, fitted perfectly. purchase here again in the future, thank you! just bought another two!! Would definitely recommend. 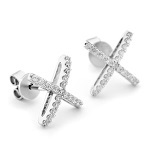 comtemporary range of jewellery, perfect for every occasion. treat yourself to consider getting one of those. 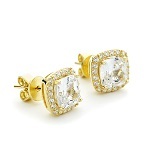 Beautiful timeless earrings. Fast delivery. Plus the customer service is second to none. jewellery I don't think you can go wrong. Bought gold rose ring, and omg I love it.so nice! Good quality. Very happy. Will buy again and again!!!!! An unusual and superbly crafted ring. letter thanking me for my purchase. price that you paid. Highly recommended. dress up or down!! Perfect. really gorgeous and the quality is very good. day, but still feel special. 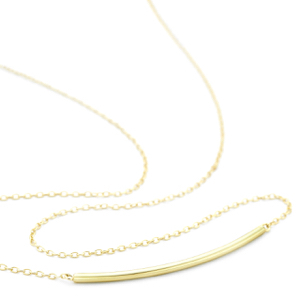 This is the gold version of the curved bar necklace, this is the most exquisite understated piece, delicate but not flimsy, sits perfectly centred on your neck. I'm going to rave about the packaging again, so beautifully wrapped I always feel bad at having to open them, they are like little jewels in themselves. compliment on it, wearing it for the first time! Perfect, once again very happy! for many ensembles. Definitely recommend! that's also special and pretty. 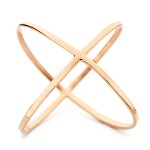 This is a lovely, delicate bangle that would fit pretty much any wrist, due to its flexible style. I have gotten so many complements on the bangle. The customer service is amazing, and the item comes beautifully wrapped. I also received a 20% discount with my purchase that is good for 60 days, so all in all, I'll definitely be buying more items! I wasn't sure if I would like this ring, as I generally opt for smaller rings for my short fingers. However, despite the criss cross, this ring is small and very light, and I love it! I had questions before making my purchase decisions, and received such gracious help I felt at ease with my decisions. And I received a lovely hand-written letter with my order. I am so impressed, not only with the quality of the items I have, but especially with the attention to detail and service. I will highly recommend One by One's jewelry to all who will listen! definitely be back to do more shopping! shopping with One by One Jewellery! products with excellent customer service. on the other side of the world) and a nice note. 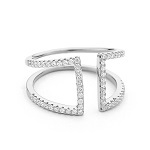 I ordered this ring as a Christmas gift for myself from my husband (ha!). I was worried, as it took a while for it to arrive. When I contacted One By One, Sunjay not only reassured me, he actually tracked the package himself and wrote a detailed email back within a few hours of my initial inquiry. That alone was enough to make me want to purchase more items, but on Christmas morning when I opened the ring and saw the beautiful packaging, the handwritten note wishing me well, and saw in person how beautiful it is, well, that sealed the deal. I highly recommend this lovely jewelry! I was looking for a ring for my right hand, as I completely wore through my previous ring. As a makeup artist, my hand is often in wedding pictures (putting false lashes on the bride, lipstick, etc. 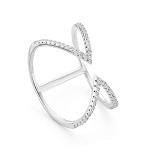 ), so I wanted a ring that was on trend and lovely. This ring fits the bill perfectly. I especially loved the handwritten note and the packaging. Sunjay went above and beyond to make sure I was satisfied with my purchase, and I will not hesitate to recommend One By One's products. company would recommend to everbody. 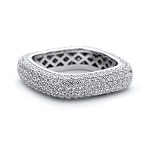 This is the 3rd version of this style ring I(the first two were from other companies and didn't last long at all) and this one is by far the best quality + seems like it will last a long time. I also got a beautiful pair of starburst earrings. The customer service was excellent. My package took awhile to arrive, probably because it's the holiday season + i contacted the company + they couldn't have been nicer. It was like talking to someone that I already knew. When it did arrive, everything was beautifully packaged and would have made great gifts, but they were for me :-) Thank you, Erin from Busbee TV for telling me about this wonderful place! a beautiful delicate piece which is timeless. Got my eye on several other items. I received my beautiful bracelets yesterday. I could not have been happier. Not only was the delivery speedy, the packaging was utterly gorgeous. I bought two bracelets one for my sister and one for my self. It is truly a gorgeous gift to give some one as the bracelets were wrapped individually and perfectly. These are my favourite kind of bracelets and I have been looking all over for them so It was great to find them from a company who's other items I have now fallen in love with! The bracelets are so sparkly and are exactly what I had been looking for. The nicest thing about receiving my items was the hand written letter that came with the bracelets. Thanking me for purchase an telling me more about the brand. I really find this a great personal touch and it has made me already want to order more from here today! highly recommend buying from here, both the products and excellent customer service makes it an easy enjoyable shopping experience. Thanks again one by one. wait for her to get them. think they will change my mind! I first heard about One By One watching a video from Erin Busbee, she had the link to the website, I've been after interesting layering necklaces for ages but anything I saw wasnt quite right or it was too expensive, not so with One By One, I have purchased 5 of their necklaces so far. The quality is amazing as its sterling silver, the pieces are unique and they layer perfectly, plus the price is fantastic too. One other thing I will say is that the gift wrapping is heavenly, I almost didnt want to open them they were so nicely wrapped. The box they came in was well protected with bubble wrap as well. I have no hesitation in recommending One By One if you want unique jewellery that also comes in different finishes. I have been trying to find a gift for one of my friends. Trust my I went through many websites with horse shoe necklaces and they were all either too big or too decorative. And then I found this one. It is perfect and represents everything it needs to represent. It is very delicate and quite petite but i think if you want something flashy you should go for a different design and company. The service is exceptionally good. I ordered this item with the next day delivery, but it was after 1pm so the delivery would have to be on the following day. 2 minutes after I placed the order, I received a phone call from the company saying that it wouldn't be possible to deliver it next day as the posting window was missed. I have never met such a lovely customer service that understands that if you need something next day, it may be urgent. Thank you very much for your service and I will definitely use your website again. Like the fact that the bar does not slide on the chain. 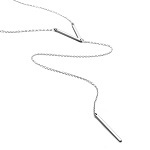 Chain has nice small links and can be adjusted between two points. Should match more or less anything you choose to pair it with.